Carr is now the Photo Editor at Yellek Media. Many graduates look back on their experiences at BSM and how it has helped them get where they are today. Class of 2015 graduate Danielle Carr is currently a freshman at Columbia College in Chicago and has recently been offered a job with new company Yellek Media. Carr is currently taking a combination of business and photography classes with the hope of one day owning her own business. Carr was at college for about two months when she was approached by the founder of Yellek Media, a company that helps artists collaborate together and helps artists of different forms find each other. He explained that he saw her Instagram account and liked her style of taking pictures. She was hired on as their Director of Photography. Carr works with different artists and asks them how they want their ideas to be transformed into promotional content. She then sets up the photo shoot according to what the artist wants. While at Yellek Media, Carr hopes to get her name into the world of photography and visual media and to collaborate with as many people as possible: “I want my name to get out there so people can go to me,” Carr said. In addition to her work at Yellek Media Carr also takes pictures for a blog based in Chicago. The blog, The Girls from 310, is run by two college students on her floor. It covers everything from fashion to food to big city living. She also edits videos for a design company based in New Jersey called PDR Designs. One of the things Carr enjoys about not only Colombia but also Chicago in general is the people she meets. She enjoys being around so many different types of artists; each has so much drive behind their work and she enjoys being able to work with them. Having so many people around her makes her push herself more to do better with each and every project she works on. After college, Carr hopes to start her own visual media business and collaborate with different artists to come up with new pieces of work. She would like to expand her website, www.daniellecarr.work, to include more pictures from her portfolio. She is excited to be taking senior pictures this summer for the first time. 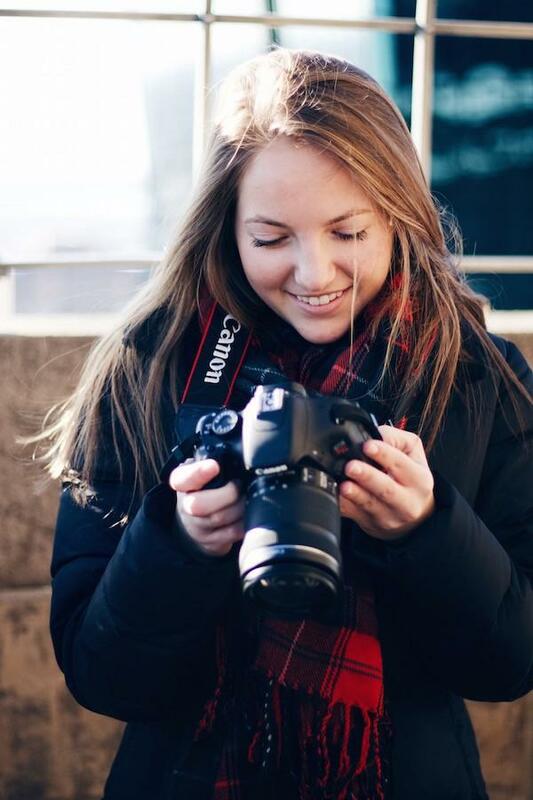 During her time at BSM, Danielle took many photography classes, Knight Errant, and Video Journalism. BSM helps students find what they want to do in life through classes like Knight Errant. “Through film classes, photography classes, and the newspaper, BSM really helped me find my niche in the creative world,” said Carr.